Treat a tiny dancer to a diva-worthy cake. Luscious, Lovely and light, this "Ballet Slippers Cake" is an adorable cake, that deserves a standing ovation. Its sure to captivate your little ballerina and your guests as well. 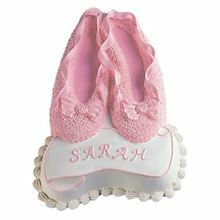 A good cake for little girls with a fascination for ballerina slippers or ballet shoes. Parties are prettier when Barbie is invited to the celebration. 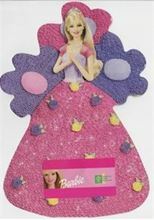 This gorgeous Barbie cake in a pink flowing gown, is a perfect gift for little girls with fascination for Barbie dolls. This blue spotted dog named "Blue" was once the highest-rated TV show for preschoolers. He is still a favourite among kids and grown-ups alike. The Blue Clues cake brings good luck and wishes for the birthday boy or girl. Plan a fantastic party with a fun cake featuring Bob the Builder. 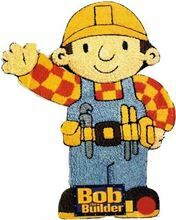 Bob and his construction scene friends are still a sensation with the kids. 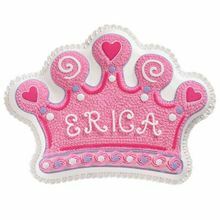 Both boys and girls may use this special occasion cake for birthday parties & School events. This happy bunny is all smiles this Easter! 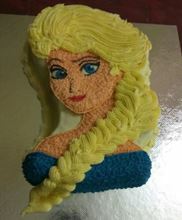 A great cake for first birthdays and special occasions. You’ll be smiling along with all of your guests with this Bunny cake. That’s because he’s the star of your party table. Kids simply love the beauty of his innocence. Lovely to look at, and tasty to munch! 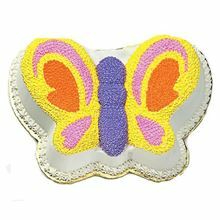 Watch your celebrations take flight when you serve this butterfly cake. Great for birthdays, showers and just about any occasion that may come up. 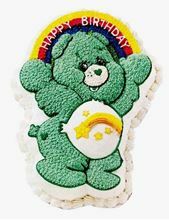 For Boys: Equipped with a good-times gear, this Care Bears cake is ready to commemorate someone’s special day. For Girls: Everyone will give a cheer when they see a Cheer Bear™ cake! With her sunny attitude and lively rainbow colors, she's the perfect birthday party guest! The Care Bears are a group of multi-colored bear characters. Each Care Bear comes in a different color and has a specialized insignia on its belly that represents its duty and personality. 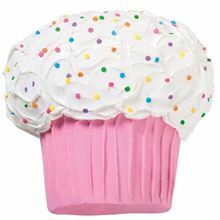 Big on style and taste, here's a "cupcake" cake that’s big enough for the whole crowd to eat. Turn every gathering into a Party. Make your celebration special with this beautifully decorated cake. Great for special occasions and tea parties. Flowers are just the right addition to any celebration. 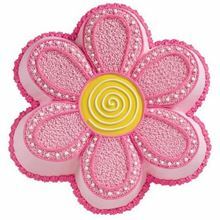 Especially our Dancing Daisy Cake, with its bright and cheerful colours decorated in pastel full bloom. Great for birthdays, club nights and impromptu gatherings. Tempt young paleontologists’ taste buds with a vibrantly iced Dinosaur cake.Turn every gathering into a Party. Our prehistoric party pal has a fun-loving look that’s just right for kids birthdays, school functions and animal-themed celebrations. Kids won’t be able to resist this jiggly fellow! This star from Disney/Pixar - WALL•E is an industrial robot from the future which brings excitement and fun to your celebrations. This fun shaped WALL-E Cake is programmed to make a kid’s birthday unforgettable! Wherever Dora goes, it's always "una fiesta"! 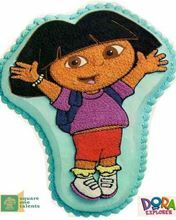 Discover a world of party excitement with 'Dora the Explorer' Cake. This cake is just perfect for your little Dora fan. This fun-loving elephant always has his ear to the ground in search of a party in the making. 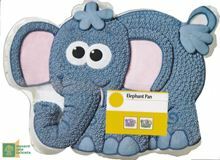 The Elephant Cake makes a great cake at birthday parties, school celebrations, baby showers and many more special events! The Elephant cake is perfect for Jungle, Zoo, Safari and Animal themed birthday parties. Elmo can make any kid smile, but this Elmo Face Cake will make everyone in the party smile. This happy-go-lucky Sesame Street character - Elmo is great for birthday parties, school celebrations, baby showers and other special events! Parties are prettier when Barbie is invited to the celebration! A party starring Barbie is sure to enchant every little girl! 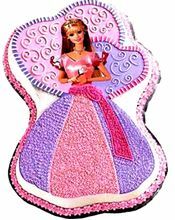 The Enchanted Barbie look in the cake is just a perfect gift for little girls with fascination for Barbie dolls.